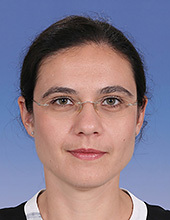 Jordanka Kovaceva is a researcher in the Division of Vehicle Safety since 2015. She has over 9 years’ experience working on naturalistic driving data using the largest naturalistic datasets in EU and US—euroFOT, UDrive and SHRP2. Her current interests include developing methods for analyses of traffic safety by using real world crash and naturalistic driving data. She is also affiliated with the SAFER Vehicle and Traffic Safety Centre, where she leads a project on active safety for vulnerable road users. When, where and how often do professional drivers use their mobile phones? There might be more projects where Jordanka Kovaceva participates, but you have to be logged in as a Chalmers employee to see them.